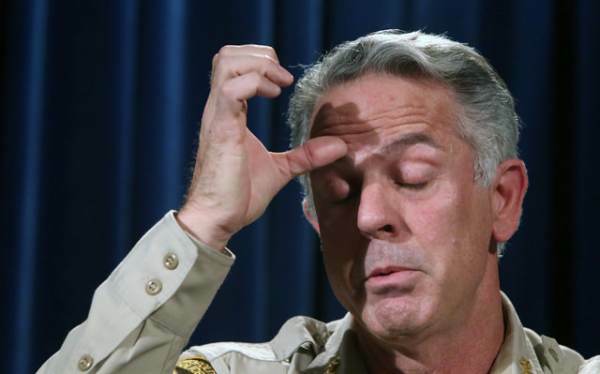 In a shocking turn of events, Clark County Sheriff Joe Lombardo is now floating the possibility that the Las Vegas gunman, Stephen Paddock could have been radicalized. Law enforcement are currently investigating the matter. Rita Katz from the very reputable SITE Intelligence Group released a series of statements on Stephen Paddock, the Las Vegas mass murderer. On Monday ISIS took responsibility for the attack. And in a rare move released a follow-up statement to say Paddock had converted to Islam in recent months. Rita Katz published a string of 23 tweets on the Las Vegas terrorist attack. 1) BREAKING: #ISIS‘ Amaq claims #LasVegas shooting. Surprising as it sounds, statement issued on legit primary source. 7) #ISIS appears to be doubling down on its claim for #LasVegas as Amaq statements being further disseminated in different languages.